Israel and Palestine have agreed to relaunch peace talks without preconditions as soon as possible, Prime Minister Benjamin Netanyahu said after a 40-minute meeting with President Obama today. After Obama urged the leaders to seek peace in a brief but strongly-worded speech, Netanyahu and Palestinian President Mahmoud Abbas shook hands, the first time they have ever done so, reports the Jerusalem Post. 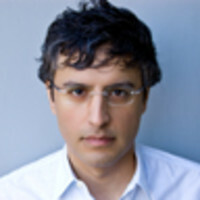 Plus, Reza Aslan on why Netanyahu would be wise to listen to the president's words of warning. Israel and Palestine have agreed to relaunch peace talks without preconditions as soon as possible, Prime Minister Benjamin Netanyahu said after a 40-minute meeting with President Obama today. After Obama urged the leaders to seek peace in a brief but strongly-worded speech, Netanyahu and Palestinian President Mahmoud Abbas shook hands, the first time they have ever done so, reports the Jerusalem Post. Below, Reza Aslan on why Netanyahu would be wise to listen to the president's words of warning. Barack Obama, still a rock star on the global stage despite the tarnishing of his reputation at home, will have a chance to bask in the world spotlight once again this week when he addresses the United Nations at its annual meeting in New York City. Obama’s agenda for the gathering of the world body is staggeringly audacious. He will chair a meeting of the Security Council—the first American president to do so—to discuss nuclear proliferation and to push his vision of a world without nukes. He will chair a summit on climate change, in which he will try to get the developed nations of the world to agree on reducing greenhouse gas emissions. He will conduct a high-level meeting of African leaders to gauge the effectiveness of America’s aid program to the continent. He will gather with Pakistan’s president, Asif Ali Zardari, to talk about the deteriorating security situation in that country. He will hold a series of talks with European leaders to discuss the ongoing global economic meltdown. And oh yeah, he will hold a joint meeting with Israeli Prime Minister Benjamin Netanyahu and Palestinian Authority President Mahmoud Abbas—the first such meeting between the three world leaders—to jump-start the flagging Middle East peace process. Obama is determined to demonstrate that progress is still possible so long as all sides are willing to abide by the so-called road map to peace, which, coincidentally, all sides abandoned years ago. Gibbs seems to have conveniently forgotten that Obama’s heralded Middle East envoy, George Mitchell, has been in the region for months, shuttling back and forth between the two parties, trying (and failing miserably) to extract a promise from Israel to halt settlement activity in exchange for a normalization of relations with the Arab states. The news reports out of Israel suggest that Netanyahu is spinning the meeting with Obama and Abbas, scheduled to take place Tuesday, as a political victory for his administration. Already, the prime minister’s supporters are hailing the trilateral meeting as proof that the U.S. is capitulating to Netanyahu’s position. They have a point. After all, despite repeated warnings from the White House, the Israeli government has actually increased its settlement activity. Meanwhile, Abbas has been forced to withdraw his demand of a total construction freeze as a prerequisite for meeting with Netanyahu. Nevertheless, Obama is determined to demonstrate that progress is still possible so long as all sides are willing to abide by the so-called road map to peace, which, coincidentally, all sides abandoned years ago. Yet the obstacle to peace in the Middle East is not due to the failure to come up with a solution to the Israeli-Palestinian crisis. Everybody knows what must happen for peace to prevail: There must be a two-state solution wherein a stable and economically viable Palestine sits side by side with a secure and prosperous Israel; wherein East Jerusalem becomes the capital of the new Palestinian state; wherein Israeli settlements in Palestinian territory are either dismantled or, in those instances in which dismantlement is not possible, an exchange of land is made; wherein Palestinians give up the right of return in all but the most symbolic way, since it would be impossible for Israel to absorb millions of Palestinian refugees (a global fund must be established to compensate refugees who have lost their homes and land). Not only have these parameters been set in stone over the last three decades of negotiations between the two sides, but the overwhelming majority of Israelis and Palestinians agree to them. Palestine’s veto to peace comes in the form of a Hamas suicide bomber. Regardless of where one places the blame for the cycle of violence between the Israelis and Palestinians, the fact is that six decades after the war Israelis call the War of Independence and Palestinians refer to as al-Nakba, or “the Catastrophe,” hope for a two-state solution is more distant than ever. Indeed, the dream of a Palestinian state is almost over. Nearly half of all Palestinians in the world live as refugees. Any chance of unified Palestine has dissolved in the wake of the civil war between Hamas and Fatah. Gaza is one of the poorest, most densely packed regions on earth. Half of the West Bank is under Israeli control. And now a barrier made of concrete and barbed wire that snakes through the heart of the Holy Land has made the possibility of a contiguous Palestinian state almost laughable. If the current situation continues much longer, there will never be a Palestinian state. That would be the worst fate imaginable…for Israelis. Because if most demographers are to be believed, in the next 50 years there will be more Palestinians than Israelis from the River Jordan to the Mediterranean Sea, meaning the dream of a majority Jewish state will likely cease to exist. In fact, some Palestinians I have spoken to openly acknowledge being in no great rush for a two-state solution. After all, they say, soon there will be only a “one-state solution”: Palestine. Simply put, if there is no Palestine in the next few years, there may be no Israel in the next century. This is the message that Obama must convey to Netanyahu. Whether Netanyahu will listen is another matter.